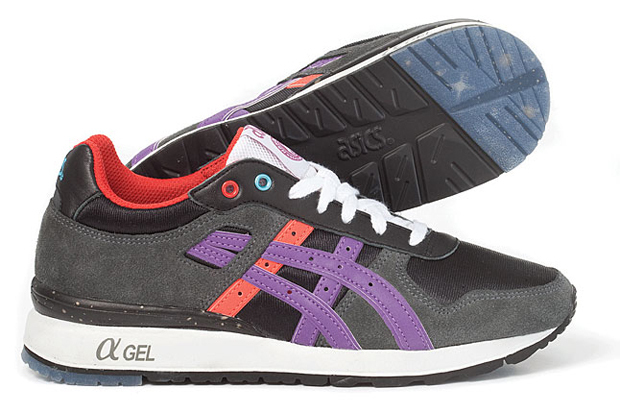 Scottish sneaker specialists Hanon have teamed up with asics to create this heavily themed GT II. The colab is in celebration of Hanon’s 20 years in the game and the theme is a passionate dedication to their location in the UK (North … so far North they’re in Northern Scotland). The shoe is based on a ‘Northern Lights’ theme, cunningly adapted with the shoe’s roman numeral based name to create the ‘Northen Liites’ moniker. The Northern Lights theme runs deep into the shoe. The upper made of dark greyscale premium suede, full grain leather and air flow mesh represents the night sky, whilst the tiger stripes use bright colours and scotchlite overlay to look like the ribbons of colour that the Northern Lights are famous for. 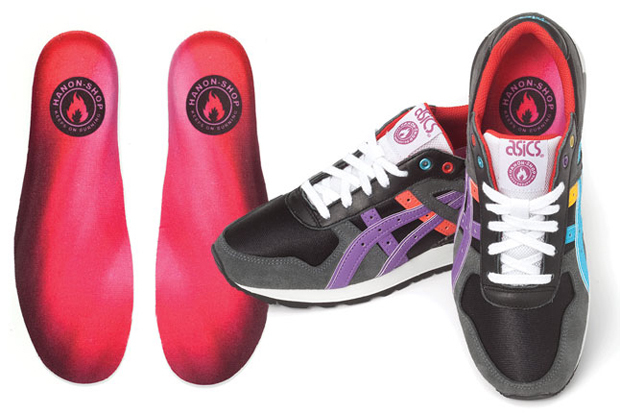 The insole depicts an image of the Northern Lights in all their glory. 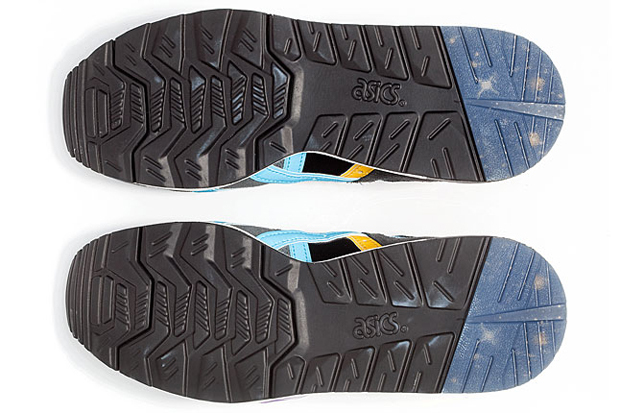 Check out the heel of the outsole … an ice translucent panel that shows you the night sky. Killer! If this theme wasn’t strong enough already, Hanon have gone one bit further and referenced the ‘Northern Soul’ theme that they developed a few years ago as well. To resemble their 20 years strong, they have created a special “Keep on burning” emblem that sits on the woven tongue tab, inspired by the imagery and slogans of the late ’60s UK musical movement ‘Northern Soul’. All in all, this shoe has one of the strongest concepts behind it that I have seen in my years as a collector. It’s also just a damn nice looking shoe! 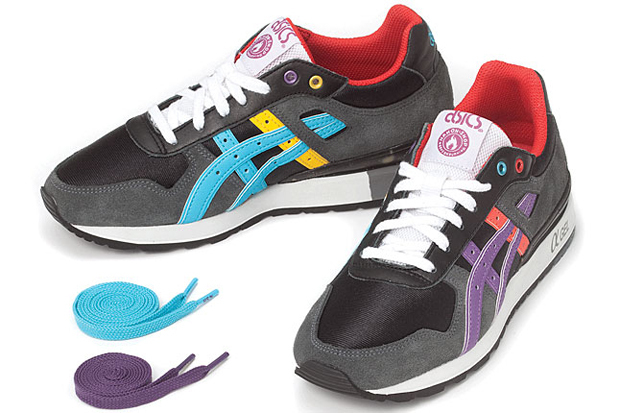 The inclusion of 3 pairs of laces is a huge look … something that more sneaker companies need to be doing on a regular. 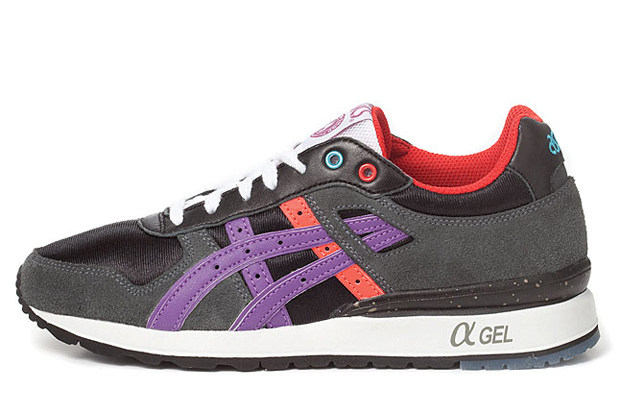 These badboys will be dropping at Hanon this Saturday (April 10th).